Madhusudhan Mysore is CEO and Executive Chairman at Tata Communications Transformation Services (TCTS). 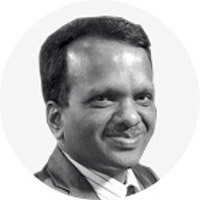 Madhu assumed the role as CMD after successful stints of over a decade at Tata Communications and TCTS, where he led Engineering, IT Global operations and customer experience management. Prior to this, Madhu has led several leadership positions across leading multinational organisations such as, BPL, AT&T, and Lucent. His career spans over three decades in the telecom industry. He is credited with driving business growth, building momentum for high growth around new and evolving technology services that includes wireless, NFV, SDN, Mobility services, etc. He is also steering the state of the art professional services capabilities across the globe, including integrating and developing partnerships for TCTS. In his previous stint as a Head of Global Operations at Tata Communications, Madhu has led support services for Global Carrier (Data and Voice) & Enterprise Managed Services that includes, service delivery, service assurance, service management, infrastructure management, data centre solutions, managed security services, billing/collections services. Madhu has earned a Bachelor of Engineering from University of Vishweshwaraya College of Engineering (UVCE) Bangalore, India. TV Chalapathi Rao is the Chief Operating Officer (COO) at Tata Communications Transformation Services (TCTS). 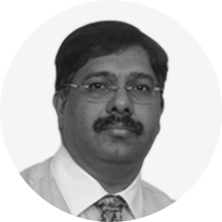 Chalapathi is one of the founding members of TCTS and has assumed various leadership roles, including the Head of TCTS in 2012-13. Prior to TCTS, he joined Tata Communications over a decade ago in the leadership role driving networks and equipment planning. Prior to joining the Tata Communications, Chala was the COO at IComm. Chalapathi Rao brings over three decades of experience spanning technical, operations, projects, and sales roles in the telecommunications industry. Post the de-regularisation of telecom industry, Chala moved into the private sector as a Head of Networks Planning for BPL Mobile in Mumbai (one of the first GSM Networks in India), after which he moved to Lucent Technologies and was responsible for designing and deploying Basic Services, GSM and CDMA Network in multiple states across India. He started his career with Bharat Electronics (Ministry of Defence Establishment) as a Research and Development Engineer. He has also served as a Divisional Project Manager in Indian Railways where he established Digital Exchanges, Digital Microwave Systems and OFC Systems. Chala has earned a Masters in Engineering (ME) from the prestigious Indian Institute of Science, Bangalore and Master of Science, MS (Finance) and CFA from ICFAI, Hyderabad. Sobhanbabu Chunduru is Vice President & Global Head, International Delivery at Tata Communications Transformation Services (TCTS). Sobhanbabu brings close to three decades of extensive experience in network operations, managed services and leading offshore delivery centres. He experience spans across R & D, Manufacturing operations, Quality and Technical Marketing functions with leading telecom vendors and service providers. His work on team's modelling for 'Quantitative Benchmarking of Network Operations Maturity' was nominated for Solution Excellence Award by the TM Forum in 2012. Prior to joining the Tata Communications, he has led several leadership and supervisory roles at Corning Incorporated, Siemens, Lucent and Hindustan Cables Limited. Sobhanbabu has earned a Bachelors in Engineering from the prestigious Indian Institute of Science and a Bachelors in Physics from Andhra University. He was also awarded DANIDA Fellowship in Fibre Optics in Denmark. 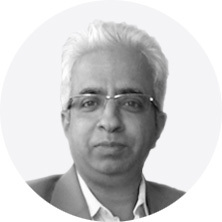 Neeraj Sonker is Senior Vice President and Heads the TCTS’s India delivery. Prior to his current role, Neeraj has led various leadership positions in Tata group companies that includes, Tata Internet, VSNL, Tata Teleservices and Tata communications. Before joining the Tata Group, Neeraj was associated with DRDO and NIC. He is on board of National Internet Exchange of India (NIXI). He has been instrumental in driving the acquisition and operational integration teams at Tata Communications and has rolled out large scale networks with multiple technologies, including Metro Ethernet, WiMAX, CDMA, MPLS, etc. and has also led global operations during his stint at Tata communications. 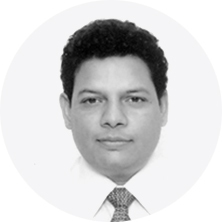 Neeraj has earned an executive MBA from SP Jain institute of Management & Research, Mumbai and is an Engineering graduate from Indian Institute of Technology, Roorkee. Umasree Kotamraju is Chief Financial Officer (CFO) at Tata Communications Transformation Services (TCTS). 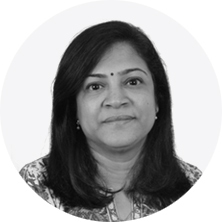 Umasree brings over two decades of experience spanning across Telecom, NBFC, Infrastructure, Pharmacy and Leisure industries. Her functional expertise, include - Fiscal planning, assurance, internal control and compliances. In her previous role as a Revenue Controller with Tata Communications, Umasree was responsible for assurance and reporting of Global Revenues and receivables for its voice and data business. She has over twelve years of experience in the telecom sector, gained from her association with Tata Communications and Airtel. Umasree was the first woman Principal Finance Officer at Airtel, Heading Finance for Madhya Pradesh and Chhattisgarh telecom circle. She has also been recognised with Peoples’ Manager Award, and strongly believes in driving efficiency through automation and quality tools. Umasree has earned a Bachelor in Commerce from University of Delhi and is an Associate Member of Institute of Chartered Accountants of India (ICAI).